Where are these giant birds anyway? 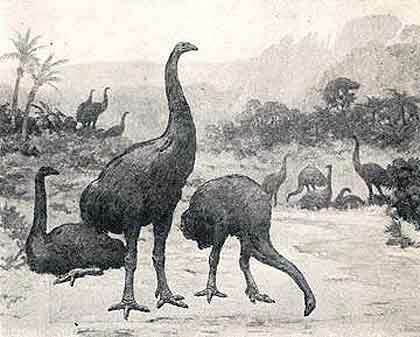 A little known secret is that Madagascar had a giant flightless resident called the elephant bird, or as the local Malagasy knew them, the Vorompatra. This magnificent bird has been extinct since around the beginning of the 1700’s. How many of these elephant birds there were, is unknown today, although it has recently been established there were many and still counting. An Egg to be Proud of. One of the elephant birds’ eggs could feed a small village. This egg was around 12” or 300mm high and 9” or 230mm across equaling the volume of over 80 chicken eggs. 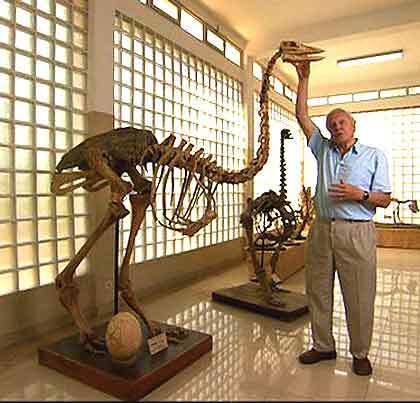 The size of this elephant bird, you ask? On average it was 10 feet or 3m tall and weighed a hefty half ton and to anyone, that’s a lot of meat. The Whys and Wherefores of Madagascar. Madagascar is the fourth largest island in the world measuring 227,800 sq miles, (about 587,040 sq km) and about 1000 miles long (1600 km). It consists of steamy, rainforests in the east, home to huge rosewood trees, with strange spiny forests in the south. The unique habitat boasts fauna and flora found nowhere else in the world. Madagascar has been colonized by humans for a little over 2,000 years and if this is the case, it’s still a young country. If you are interested go here to Wikipedia for more on Madagascar*. Due to bad governance, mining, slash and burn policies, only 10% of the indigenous forests are left. So the elephant bird is not coming back and by the look of things today, I don’t think it would want to even if it could; it would most likely become extinct anyway. 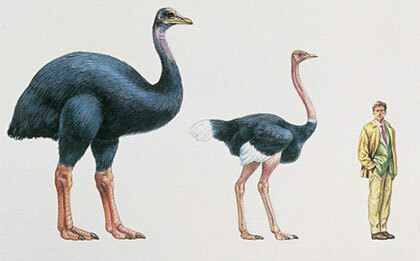 Elephant Bird Size, Relatively Speaking. 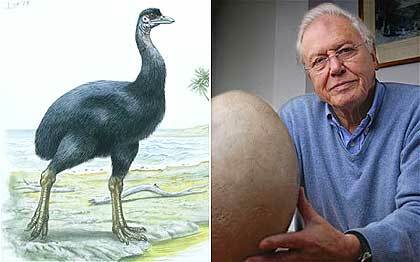 Sir David Attenborough did a series on the flightless elephant bird in Madagascar, for the BBC TV show named Zoo Quest* in 1960, where he was given an elephant birds’ egg. Then in 2011, he went back to trace the changes that had occurred since his first visit. This egg, still in his possession, is a great treasure to him to this day. Just as well, since it is worth around £65,000. I wonder if this little poem was not perhaps inspired by the elephant bird.